Conscious Images® LLC is a boutique design and production company founded in 2001 by John Niernberger and now based in Kansas City. Through our network of relationships, we are a full-service web design and production firm. We also publish fiction through our imprint, Visit DisasterLand!, and help independent authors self-publish their books, eBooks and audiobooks. John Niernberger is a graduate of New York University's Tisch School of the Arts and has worked in all aspects of film production and post-production for almost 15 years in New York, Kansas City and Los Angeles. He produced and directed the short film Petrol Mart and also wrote, produced and directed the experimental narrative short The Happy Guy. 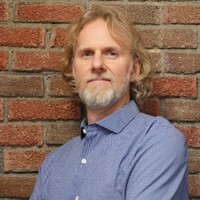 In 1999, John became the content manager for Chris Blackwell's pioneering and Webby-award winning website sputnik7.com, where he supervised video encoding and production. John has written for PW Daily, Publishers Weekly and Res magazine and produced the Publisher's Spotlight section of the Reed Elsevier website bookwire.com for over two years. He has owned and operated Conscious Images® LLC since 2001.